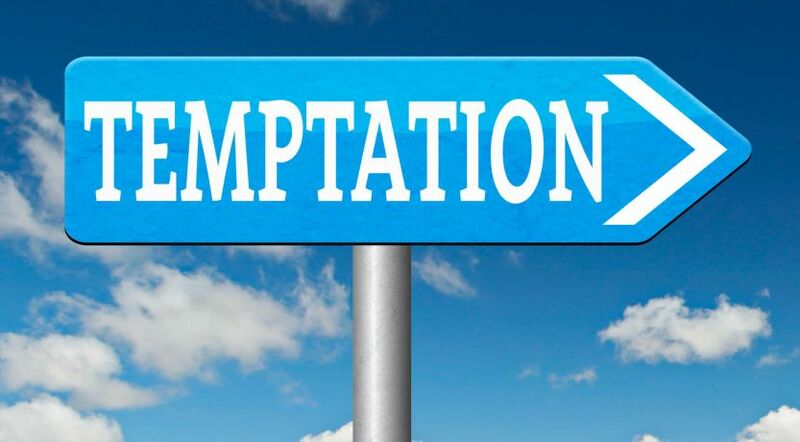 Temptation: How Does It Occur? Everyone knows that because we are human, we can be tempted to sin. But what about God? Does He ever entice people to sin? How do we resist temptation? Among many topics, the author of the book of Hebrews wrote about “the deceitfulness of sin” (Hebrews 3:13). Later, the author encourages us to “lay aside every weight, and the sin which so easily ensnares us” so we can “run with endurance the race that is set before us” (Hebrews 12:1). When we determine to live godly lives, temptations often arise. To better understand how we can keep from sinning, let’s begin by focusing on God’s role in this process. What would you think of a God who made laws that carried the death penalty for breaking them and then tried to tease people into breaking those laws? That would seem rather perverse, wouldn’t it? If God tempted someone to sin, who would be responsible for the sin? If a person gave in to temptation and sinned, would it be fair for God to punish him? These are interesting questions. The only place we can go for the answers is God’s inspired Word, the Bible. Before explaining some often misunderstood scriptures, let’s take a look at one that clearly answers the question. God inspired James to write; “Let no one say when he is tempted, ‘I am tempted by God’; for God cannot be tempted by evil, nor does He Himself tempt anyone. But each one is tempted when he is drawn away by his own desires and enticed. Then, when desire has conceived, it gives birth to sin; and sin, when it is full-grown, brings forth death” (James 1:13-15). This scripture makes it clear. God does not try to entice us to sin! But didn’t God tempt Abraham? God told Abraham to sacrifice Isaac, his long-awaited and only son from his wife Sarah. “And it came to pass after these things, that God did tempt Abraham, and said unto him, Abraham: and he said, Behold, here I am. And he said, Take now thy son, thine only son Isaac, whom thou lovest, and get thee into the land of Moriah; and offer him there for a burnt offering upon one of the mountains which I will tell thee of” (Genesis 22:1-2, King James Version). The Hebrew word used for “did tempt” is better translated “tested.” The New King James Version reads, “Now it came to pass after these things that God tested Abraham …” (Genesis 22:1, emphasis added throughout). Most modern translations read the same way. God put Abraham to the ultimate test to see if he would be faithful to God. He never intended for Abraham to actually kill Isaac. God stopped Abraham just in time and provided a ram for an offering (Genesis 22:12-13). In this case, God had no desire to cause Abraham to sin. God didn’t entice Abraham to be unfaithful. In fact, God evidently expected that Abraham would indeed prove himself faithful. And that is exactly what happened. Sometimes God tests us. During these tests, He wants us to succeed, to benefit from the test. He never tempts us to sin. To the contrary, God actually gives us strength to resist and overcome sin. Does God tempt us to sin by allowing trials? Trials are intended to help us become stronger and be more faithful and reliant on God. Just as an athlete develops strength by working against resistance, such as a runner training with weights tied to the ankles, God gives us the opportunity to develop spiritual strength by working against resistance—temptation. Some wonder if God is tempting us to sin by allowing us to experience trials. It is true that God allows trials—but not to entice us to sin. Trials are intended to help us become stronger and be more faithful and reliant on God. Just as an athlete develops strength by working against resistance, such as a runner training with weights tied to the ankles, God gives us the opportunity to develop spiritual strength by working against resistance—temptation. Ultimately, God is storing up great rewards for our faithfulness. Those rewards are much greater than our tests and trials. As Paul wrote, “For I consider that the sufferings of this present time are not worthy to be compared with the glory which shall be revealed in us” (Romans 8:18). Then why ask God not to tempt us? If God doesn’t tempt us to sin, why does Jesus tell us to ask God in our daily prayers, “Do not lead us into temptation” (Matthew 6:13)? Why would Jesus tell us to pray for something that God wouldn’t do anyway? What did Jesus mean? As James says, we are tempted when we are drawn away by our own desires (James 1:14). God can help us to resist those natural inclinations that lead to sin. The Tyndale New Testament Commentaries’ volume on Matthew points out that in this passage Christ is emphasizing the importance of asking God to lead us so that we are not easily enticed by Satan or our own lusts (R.T. France, 1985, p. 136). The model prayer shows we should daily ask God to lead, enable and strengthen us to resist and to overcome any temptation to sin. When we pray for God to “not lead us into temptation” (Matthew 6:13), we can be assured that “the Lord is faithful, who will establish you and guard you from the evil one” (2 Thessalonians 3:3). Rather than tempt us, God wants to help us resist sin. To resist the temptations to sin that Satan puts before us, Paul wrote: “Finally, my brethren, be strong in the Lord and in the power of His might. Put on the whole armor of God, that you may be able to stand against the wiles of the devil” (Ephesians 6:10-11). “But put on the Lord Jesus Christ, and make no provision for the flesh, to fulfill its lusts” (Romans 13:14). We “put on Christ” by learning His teachings and then by living as He lived. “And the Lord will deliver me from every evil work and preserve me for His heavenly kingdom” (2 Timothy 4:18). Notice the firm confidence these servants of God had that they could count on God for all necessary assistance to resist temptation. God does not entice us to break His laws. Rather, He is always there to enable and strengthen us if we turn humbly to Him for help. Being able to resist any temptation is not something anyone should take for granted. Satan is a powerful spirit being, called “the prince of the power of the air” (Ephesians 2:2). In this section of the Bible, Paul plainly states that no human being is anywhere near equal to the power of the evil one and that only with God’s help can we resist. In another place, Paul writes about foolishly independent people who have been caught in “the snare of the devil, having been taken captive by him to do his will” (2 Timothy 2:26). The implication is that these people don’t even know they are puppets of the evil master. Are you asking God daily for His spiritual defenses so that you can succeed in resisting temptations?